Saraswati Puja 2019:- Hello Friends How are you, hope all are great. 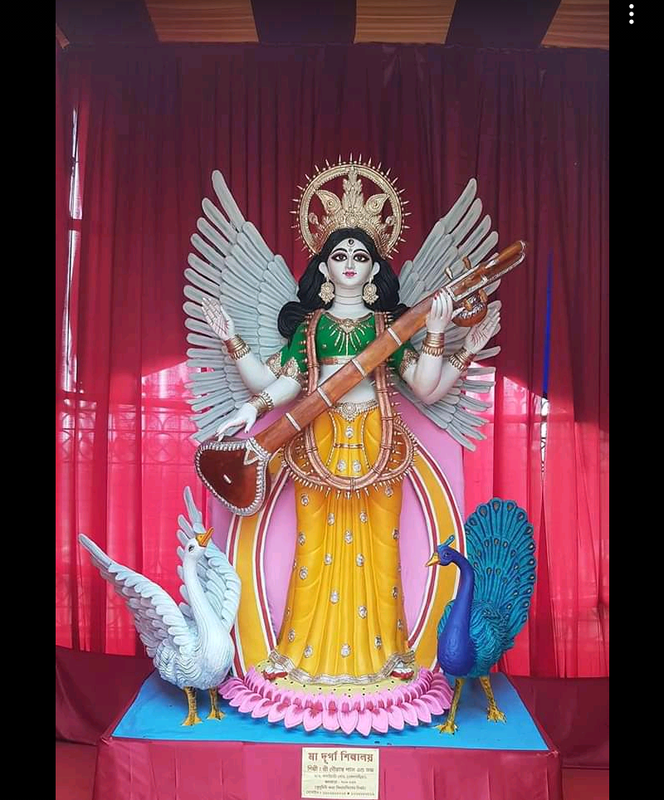 Here today we are going to tell you about Saraswati Puja 2019, Saraswati Puja Wishes, Saraswati Puja Images, Saraswati Puja Decoration, Saraswati Puja Pandels, Saraswati Mantra in Bangla and Bengali Valentine's Day. So if you a Bengali or you love and Believe Maa Saraswati then you must read this post. Because here is so many things which will gives you some helpful information for 2019 Saraswati Puja. 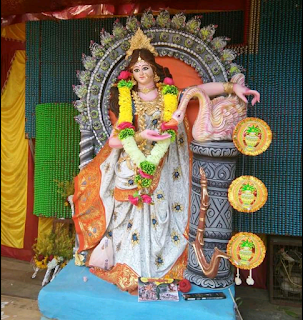 This Year Saraswati is going to be held at some late, every years it helds at the last of January Month. But this year it is in February Month. Whatever Bengalis Loved this Puja like The Durga Puja. So this Day is so special for them. We know you all are ready for this year and will be do something very special. 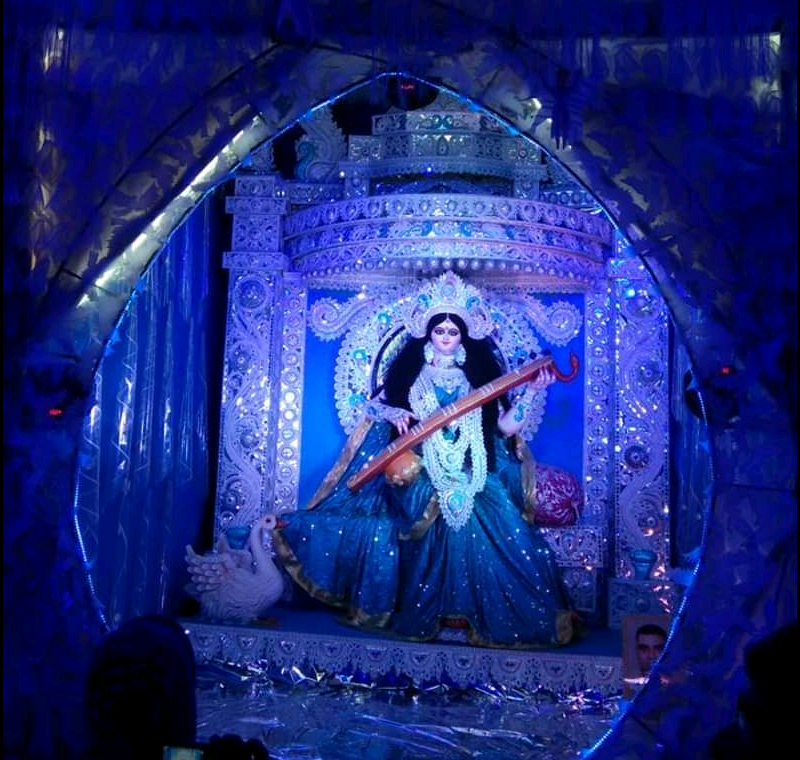 So read below to get all things about this year Saraswati Puja. All Bangalis are waiting for this day. 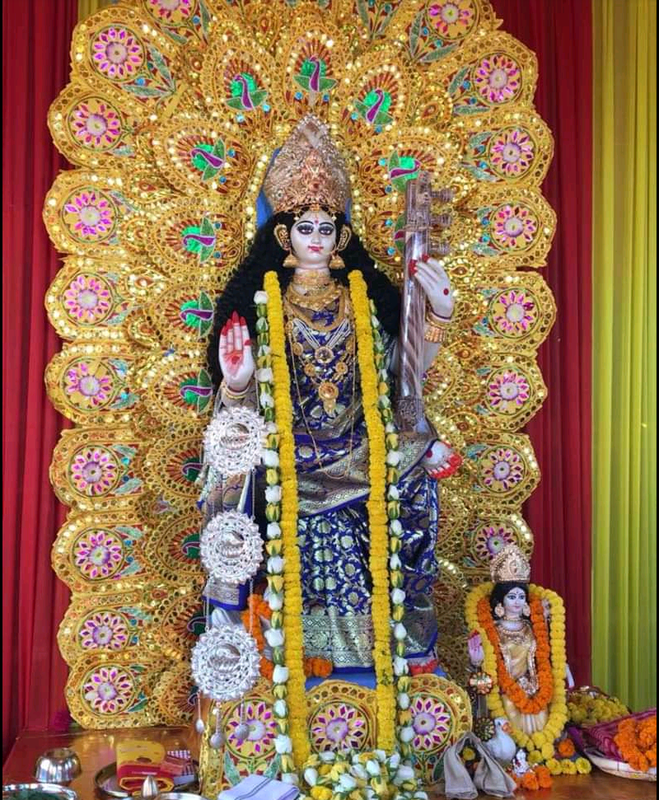 They are also waiting at this day for Pushpanjali. They kept fast till the end of the Puja of Maa Saraswati. So here is the Date and Muhurto for you. 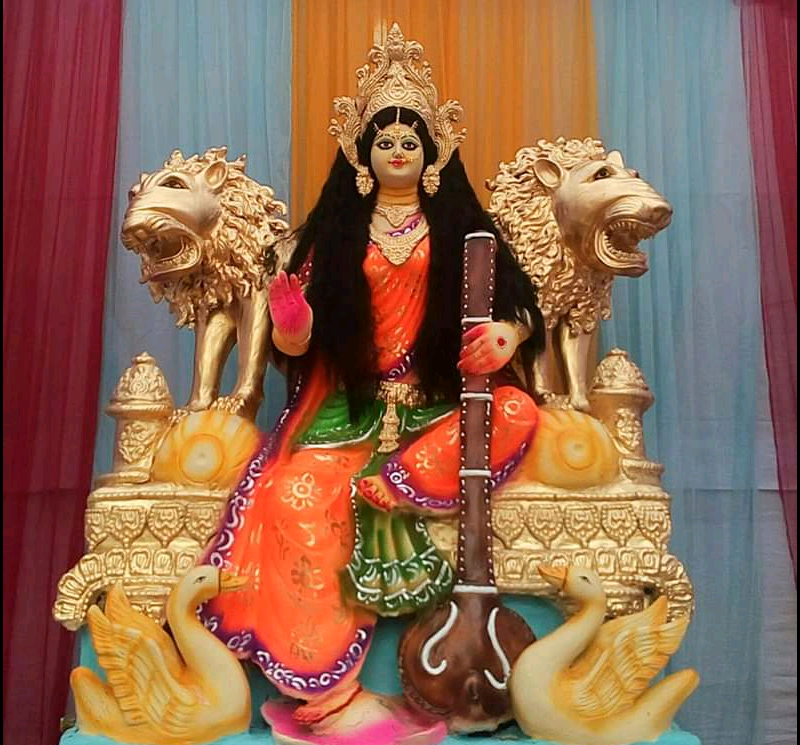 🌺🌸 Saraswati Puja 2019 Muhorto or Tithi:- The Puja Panchami Tithi or Muhurto will Begins on "9 FEB - 12:20 PM". 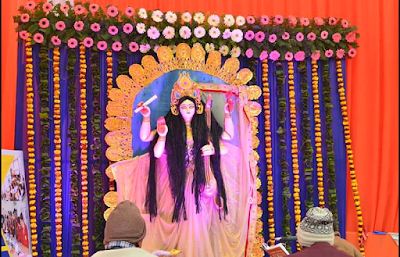 Panchami Tithi will end on "10 FEB at 02:10 PM". 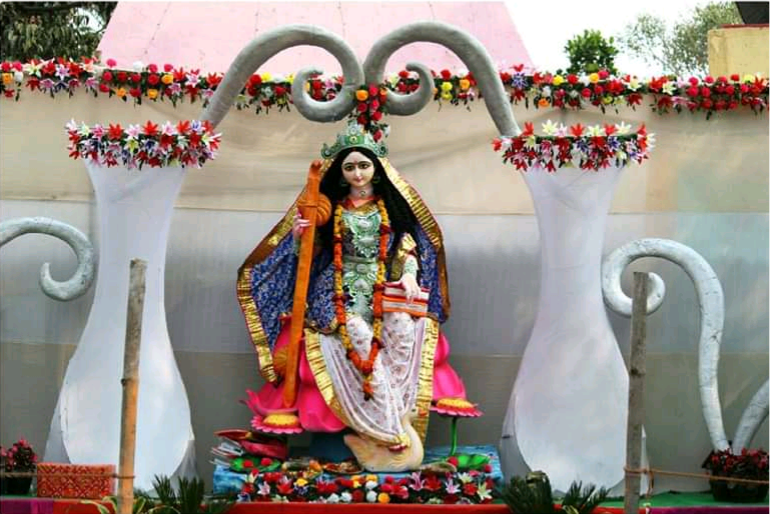 So Decide Your Pushpanjali plan by seeing this Muhorto because we know Bengali people will kept Fast on this day before the Pushpanjali of Maa Saraswati. So Friends this are some Saraswati Puja Decoration, Pandels and Images 2019 for you. Hope you like this. Om Ong Shree Shree swaraswatai nomo namha." We all are related to Valentine's Day, but there is an another Valentine's Day Called Bangla Valentine's Day. 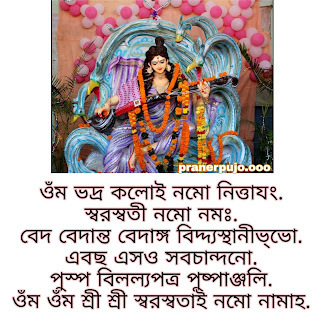 Yes, The Special Day of Bangalis Means The Day of Saraswati Puja called Bangla Valentine's Day. So you can understand what Special that day is. 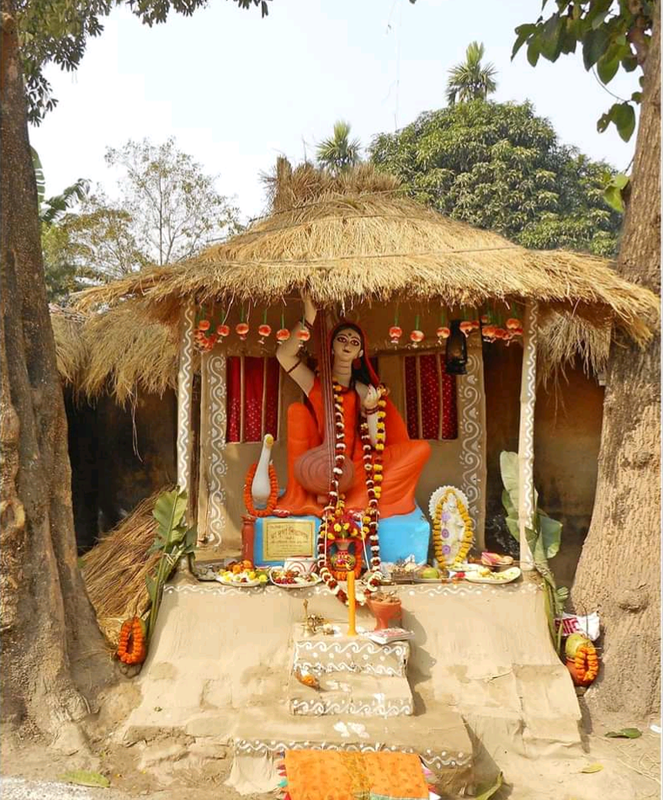 Why It's Called "Bangla Valentine's Day"? 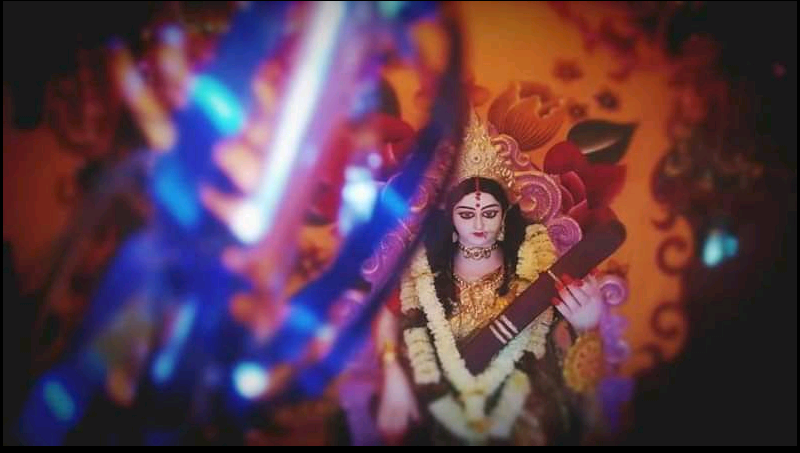 The Day of Saraswati Puja called Bangla Valentine's Day. 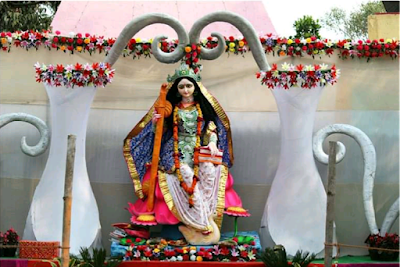 It's A Special Day for Bangali, in this Day the Boys and Girls or the Boyfriend and Girlfriend go to the nearest school and college and worship the God, Enjoying the day and also makes love. So that is why that day is called Bangla Valentine's Day. Also Saraswati Puja is special and it's held in the valentine's week that's also a reason for that. How Couples Enjoy this Day? 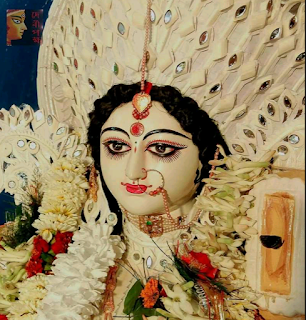 Couples of Bengal Enjoy heavily in this Day. Females wore Saree and Males wore Punjabi and go to the school and colleges and enjoy this Day in various way. So this is a Special Day also for lovers. All are enjoying this day in their own way. So Friends, We Hope You like this post. 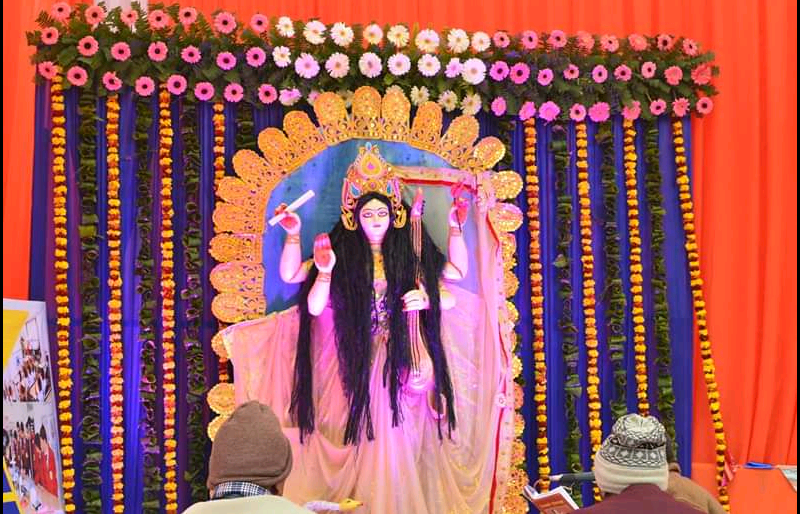 Here we shared most of the things related to Saraswati Puja. 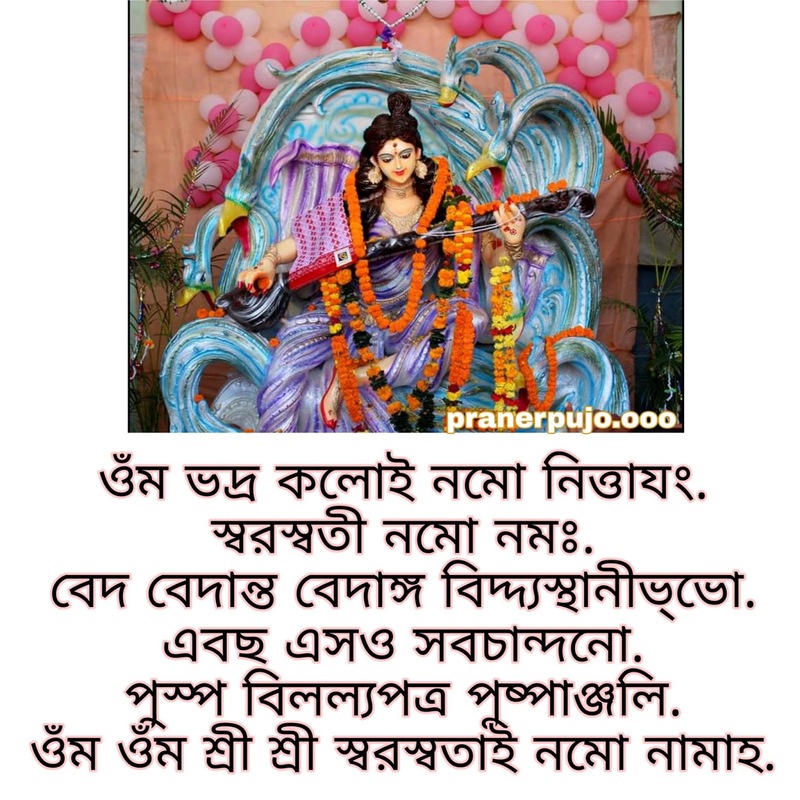 So it's a great day for Bangali and also for all Enjoy this Day. 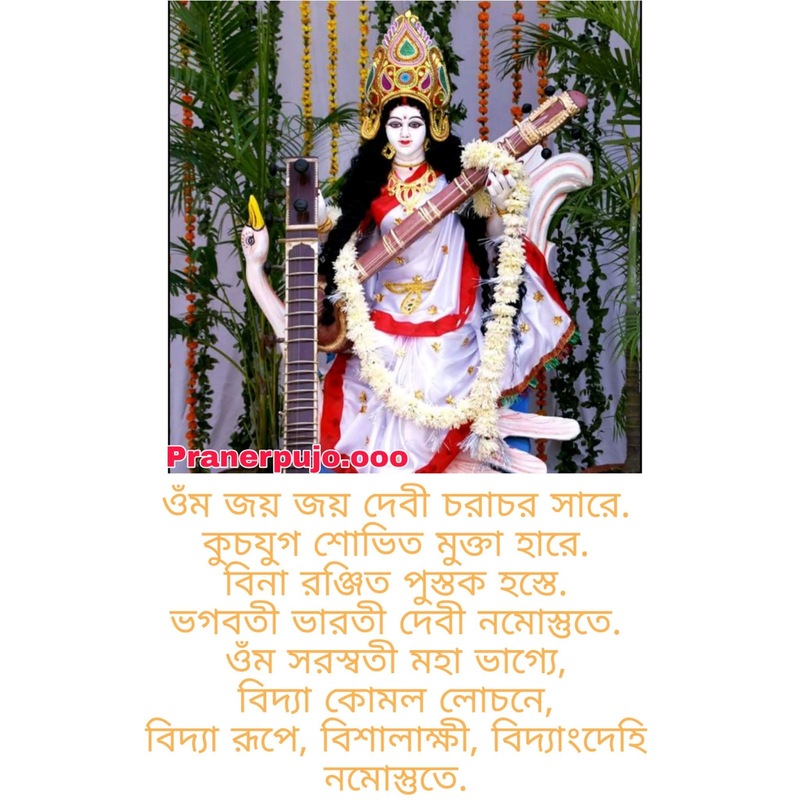 Hope this Saraswati Puja will good for you. Hope this post was helpful for you and you get your things via this post. So we suggest you to share this post with your friends and family. Because Saraswati Puja is so great for all. If here is some Mistakes then please inform us we will definitely modify it. So keep reading us and visiting here. 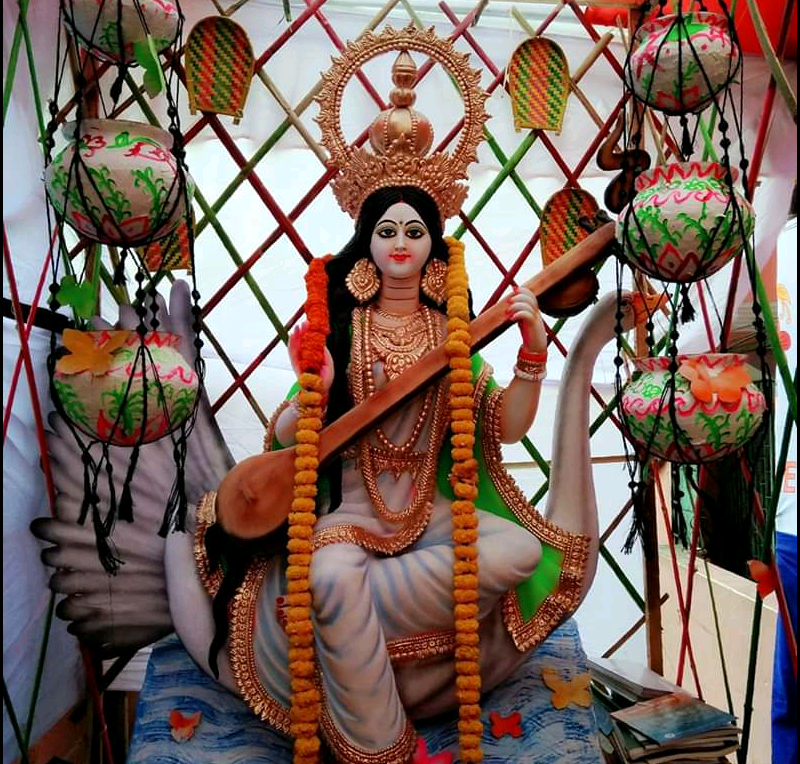 Share this "Saraswati Puja 2019 | Saraswati Puja Wishes,Images, Decoration, Pandels, Saraswati Mantra in Bangla, Bengali Valentine's Day" post in your Social Media. Tags:- Saraswati Puja 2019, Saraswati Puja Wishes, Saraswati Puja Mantra, Saraswati Puja Mantra in Bengali, Bengali Valentine's Day, Bangla Valentine's Day, Saraswati Puja Decoration, Pandels, Happy Saraswati Puja.